Long before people went to the beach for recreation Native Americans populated beaches like Old Orchard Beach for reasons of sustenance. Tribes from Massachusetts, Maine, and Connecticut cooked clams and lobsters in sand pits as means of subsistence as far back as 2000 years ago. Early settlers observed these ocean-side feasts and created their version, the New England Clambake. In those bygone days the lobsters were so plentiful that one could fetch their lobster dinner from tidal pools with bare hands. Hope they were careful, no rubber bands on the claws I bet. Build a fire on the beach, gather some seaweed. Now that is a picnic! Today folks gravitate to Old Orchard Beach and its 7 miles of wide sand beaches for recreation, a relaxing sun bath and a brisk swim or a barefoot shoreline stroll. For sustenance, a shore dinner is always available nearby (without sand). And after the sun sets and darkness ascends the shoreline, another kind of scene emerges. Fireworks and night baseball, concerts in the park and bonfires on the beach. And what would nightlife on the beach be without an amusement park. Viewing the miles of beach from a Ferris Wheel or speed it up on a roller coaster. 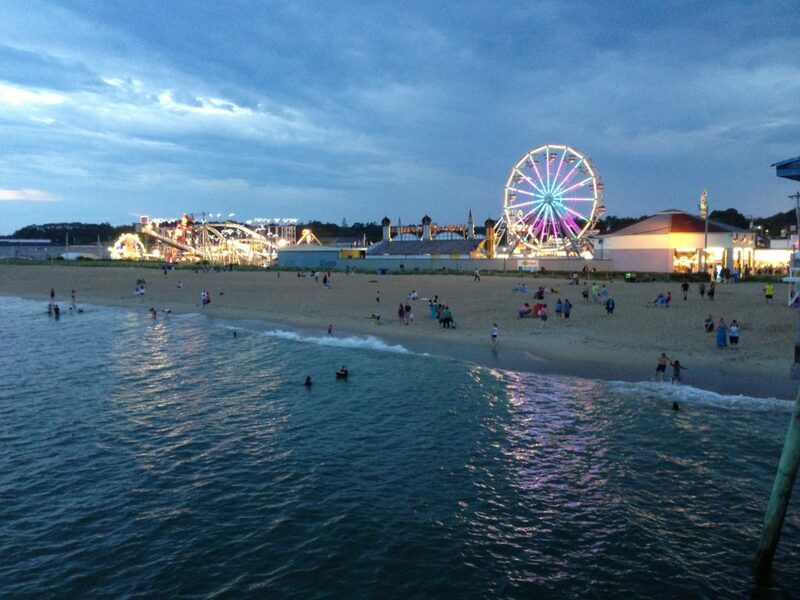 Old Orchard Beach on the southern coast of Maine has a very famous PIER and amusement park that light the sky, and the beach day extends into more hours of fun. For over 250 years ‘the beach’, as it is called by the locals and generations of returning tourists, has been a summertime mecca for millions. From the early settlers who came to swim and picnic behind the large rock formations to today’s tourist that can enjoy everything this Maine seaside resort has to offer. It is said that it is ‘impossible not to have fun at O.O.B’. Throughout Old Orchard Beach and its 250 years of history there are many ‘firsts’. Like the first Boarding House built in 1837 by E.C. Staples. He was convinced of Old Orchard Beach’s potential as a summer resort. Smart guy. It was originally a 1730 farmhouse that was converted by Mr. Staples and opened to travelers as Ye Olde Staples Inn when there were only 3 other buildings in Old Orchard Beach. 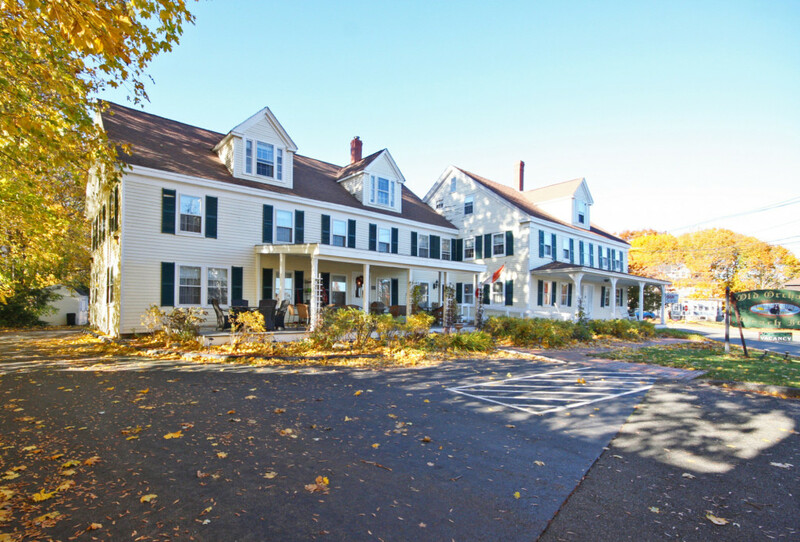 In 2000 it was purchased and completely renovated and today stands proud as Maine’s first Inn, the Old Orchard Beach Inn. Authenticity is an important element in a bed and breakfast and the original beams and restored wide pine floors offer a warmth that many of the newer lodging establishments at the beach cannot duplicate. Location is also key and guests can walk to the beach and pier and restaurants, yet is set on a tree lined one acre corner lot. The 17 guests rooms offer lodging choices for families and couples. The town is planning on establishing an historic walking tour next year. The history walks will contain panels placed near landmarks with text and photos. The Old Orchard Beach Inn is on the list! 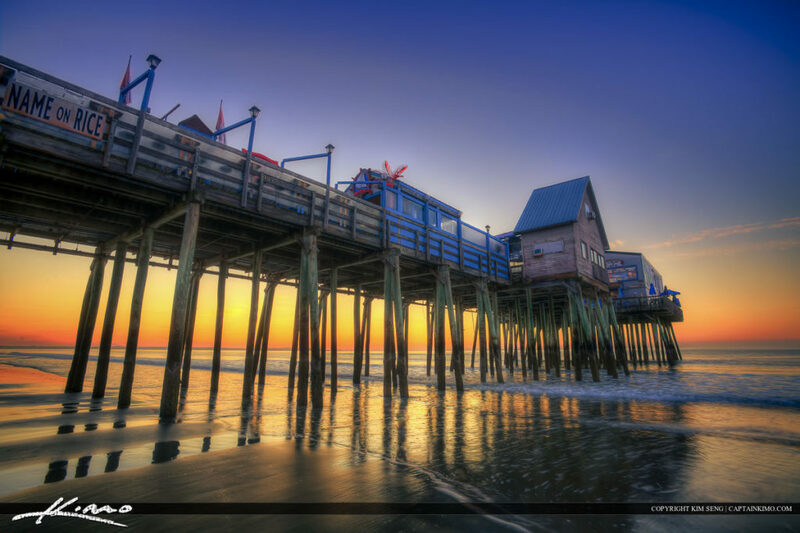 At the turn of the last century, Old Orchard Beach was a well-established resort town. 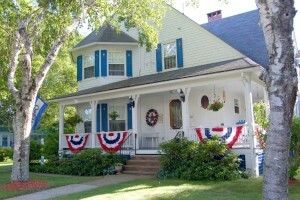 Summer cottages were built in the popular shingle Maine cottage style. In 1902 renowned architect John Calvin Stevens built a cottage for a family in Old Orchard Beach. 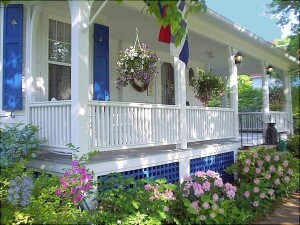 It is now the Atlantic Birches Inn Bed and Breakfast, one of the many buildings in the re-vitalized Historic District. New Victorian lighting, wide brick tree-lined sidewalks and an outside dining courtyard complete with fountain in Town Square and a newly renovated Town Hall. This 10 guest room bed and breakfast is beautifully landscaped with a swimming pool and gazebo. The inside features architectural detailed woodwork that John Calvin Stevens was known for, gloriously restored. He was also known for his classic wrap around porches. Atlantic Birches Inn has a beauty! The B&B Team offers these two Old Orchard Beach historic Inns for sale as beautiful examples of bed and breakfasts that have been lovingly restored and celebrate the rich history of their town. For future innkeepers who are seeking historic inns in a vibrant beach resort in Maine, it may be time to look at Old Orchard Beach. This entry was posted on Wednesday, July 13th, 2016 at 7:00 pm	and is filed under Innkeeping Business. You can follow any responses to this entry through the RSS 2.0 feed. Both comments and pings are currently closed.